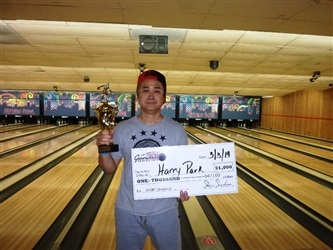 Astoria, NY: Harry Park, a jewelry maker from Flushing, NY won the $1,000 top prize at LIGBT’s house shot event at Astoria Bowl. 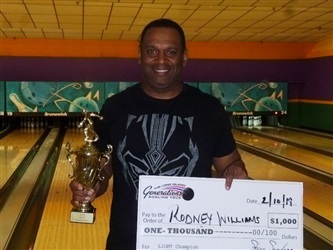 Harry, who is one of the hottest bowlers in the LIGBT, defeated Weldon Drayton Jr., Brentwood, NY 280-250 in the final shootout. 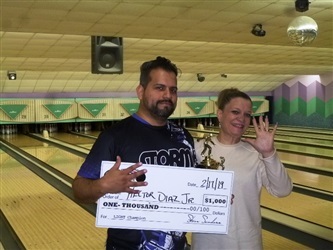 While Weldon earned $500 for second, Nick Vacarro, Floral Park, NY finished third with a 248 worth $300 and fourth went to Jimmy Califano, Astoria, NY with a 226 earning him $250. 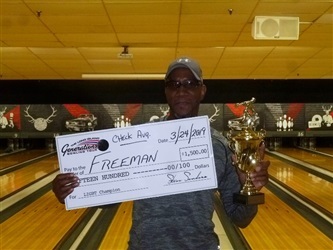 The final shootout was a high scoring event that was well bowled. There were only 2 open frames the entire match. Harry led most of the way as he threw 8 strikes, including 5 in a row the last 4 frames. 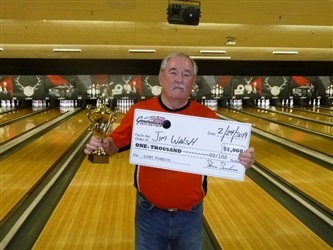 Weldon also bowled well but couldn’t string strikes at the end as he finished second. 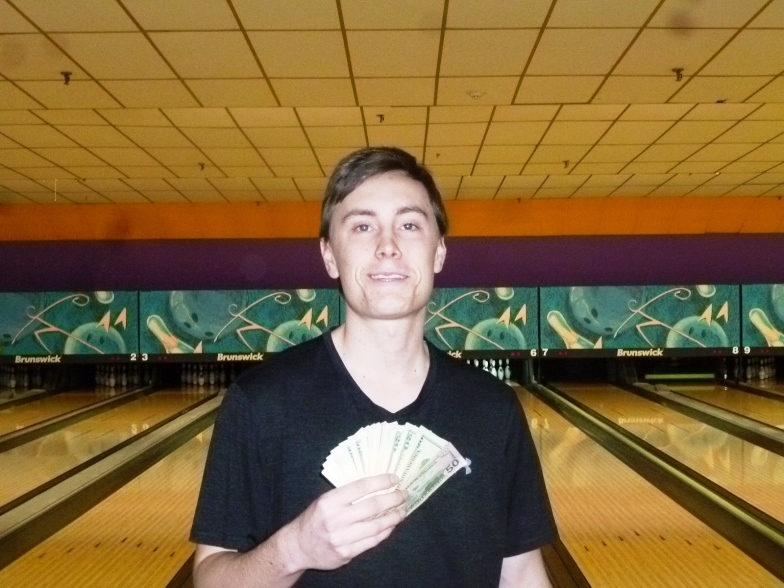 Nick had two triples but also had one of the open frames as he left a blowout 7-10 split in the 6th frame. 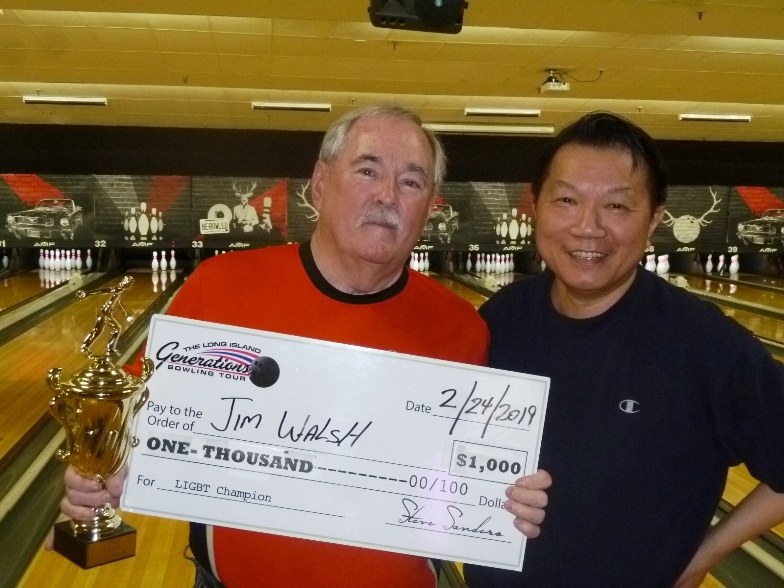 Jimmy couldn’t figure out the left lane and with a missed 7 pin in the 9th frame he settled in fourth place. 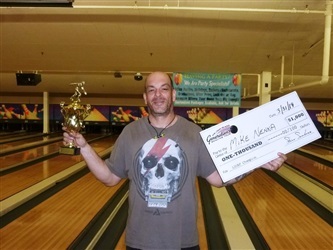 The Astoria house shot event drew a good crowd of 94 entries, advanced 17 bowlers to the finals and paid out $4,315 in prize money. Cut scores on the house shot were; 697 & 757 for the 49 & under division and 740 & 721 for the seniors. 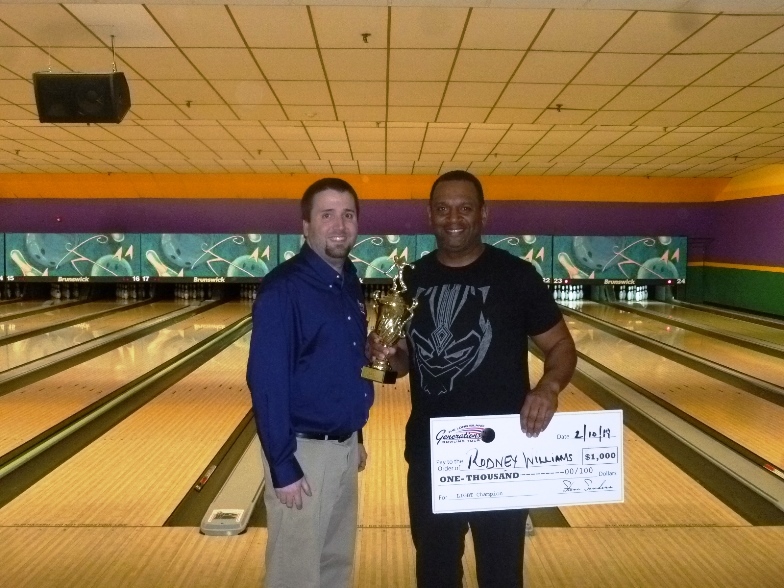 High handicap series was shot by Max Thomas, Stamford, CT with an 834 in the 3pm squad. 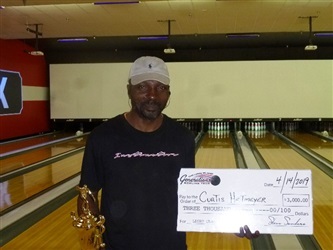 The wildcard winner was Tyger Folmar, Miramar, FL with a 1409 series. Two women made the finals; Kelsey Fisher, Brooklyn, NY shot 757 in the 3pm squad and Michele LaSala, Whitestone, NY shot 736 in the 1pm squad. LIGBT’s next tournament is a 2-squad sport shot tournament at AMF E. Meadow on Sunday, March 17th. 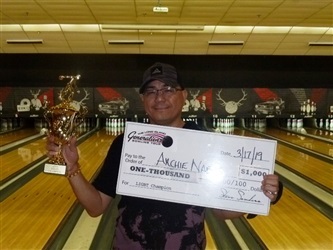 To view the final results of the Astoria Bowl event please visit www.ligbtour.com. 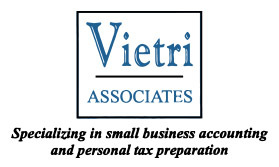 The LIGBT is sponsored by Kegel, Knockout Ball Cleaner, Torch Bowling, Billvee Electric, & Vietri Associates.